Improvement of cotton production systems. Agronomic studies on the principal constraints to the diffusion of the new variety IRMA 96 + 97. 71 p., D / AGRO – ISRA. Computer Literacy in software packages: Word processing (Word, WP, Wordstar, MultiMate), Data analysis (STATITCF, MSTAT, STATENTO, ESVAR, QPRO), Data management (GENSTAT, ACCESS, EXCEL), Networking. Senior Agronomist and Plant Breeder: He has developed high productive and early maturing and drought tolerant cotton varieties endowed with high fiber quality. He has introduced several groundnut and cereal varieties in African countries. Technology Transfer Agronomist: Dr Beye has organized the release of 10 cotton varieties and 17 rice varieties including the first 7 Nerica rices. He has developed technology packages for those varieties. He uses participatory approaches mainly Facilitation to enable farmers’ access to knowledge and new technologies. 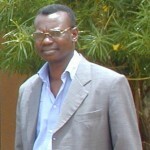 He has introduced the Quality Protein Maize (QPM) in Senegal in 2009 through the USAID / SAGIC Project. Seed Specialist: He has trained several Agronomists from 11 countries in seed technology for crops such as: Groundnut, Rice, Maize, Tuber and roots, and Seed Inspectors and Controllers. Plant Genetic Resources Specialist: He has organized several meetings on PGR in West and Central Africa. He is a resource person of FAO and Bioversity on PGR. Dr Beye has developed 4 major innovations: The development of 6 cotton varieties; The development of the Community-Based Seed System; The design of Cyber-seed networks and iv) The elaboration of technology packages for cotton and rice varieties including Nericas (Cultural practices, Plant protection techniques, Post-harvest practices, Diversification of the utilization of crop products and sub-products, etc). Dr Bèye has developed with his research team in Tambacounda (Senegal) 6 cotton varieties that are highly productive and early maturing (G 440, ISCO ID, Bulk J, G 438 + 444, J 691 and J 699). These varieties are endowed with high quality fiber which is long, elastic, and strong and has few neps. The varieties present a good alliance of two complexes of parameters that are negatively correlated: Length/Strength/Elasticity and Maturity/Thinness. In terms of coverage, the variety G 440 for example occupies more than 50% of cotton areas in Senegal for now 19 years. Its diffusion has also been initiated in Mali (2003) and in Chad (2005). Dr Bèye has contributed in the enhancement of the ginning percentage of the Senegalese cotton. This parameter has shifted from 39 %, in 1985 to 43.2%, in 2000. Because of its good quality, the Senegalese cotton was awarded « 16th International Award for the Best Trade Name » and « King of West African Cotton » respectively in 1991 and 1992. CBSS is been developed by Dr Beye in collaboration with Dr Monty Jones (actual FARA Executive Director, Laureate of the 2004 World Food Price) and Dr Brent Simpson (Socio-Economist in the Michigan State University) with the objective to rebuild local seed systems. Farmers’ criteria were incorporated into the release system in order to give scientific, technical and economical values to farmers’ seeds and local traditional varieties. New concepts of « Acceptable Quality Seed » and « Controlled Seed » are been developed as valuable alternatives to certified seeds. CBSS represents a valuable support tool for increased productivity and competitiveness and is therefore, used in Western, Central and Eastern African countries by almost NARES and International Research centers (AfricaRice, IITA, ICRISAT). Cyber-seed networks were designed by Dr Beye with the aim to promote seed commercialization by providing useful information about seed stocks at the national levels (varieties, quantities, quality, categories, proposed prices, locations, etc), seed needs and the traceability. Major pillars of the system are: Quality Control Farmers and Authorized Technicians who are trained to monitor seed quality (germination rate, moisture content, physical purity, dangerous weeds and foreign matters) and to register this information for the central websites named Observatoires. These Farmers and Technicians work directly for their cooperatives and under supervision from National Seed services. They play a key role to professionalize and to help to link subsistence agriculture to the market through Smartphones (SMS, Internet…). Financial and technical Auditing of the Seed Laboratory of Mali. Rebuilding seed control activities in Mali. Elaboration of Emergency projects for Cote d’Ivoire and Burkina Faso after the Food crisis in 2008. Characterization of cotton fibres. Assistance to improve ginning and weaving experiences of local industries. The evaluation should also assess: (i) whether the design of the project was suitable to achieve the stated objectives; (ii) the extent to which the project objectives have been met and (iii) the lessons that can be drawn from the project and its implementation to serve as a guide for future projects financed by the Common Fund.